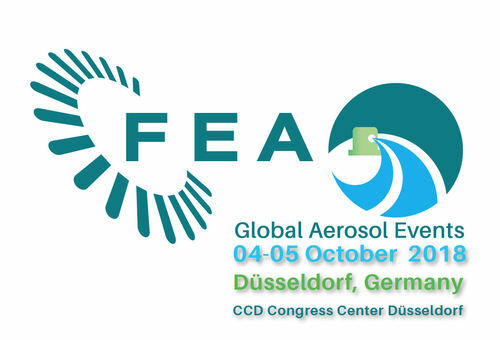 Aerosol dispensing technology experts, Lindal Group have announced the launch of two major products at this year’s FEA Global Aerosol Event 2018 in Dusseldorf on 4th and 5th October. The two-day exhibition, which features some of the world’s leading aerosol professionals, as well as the latest technological developments, policies and regulations will also serve as a platform for Lindal to present its new nasal actuator, Cyrano, and its two-part insert for improved spray performance, known as Enhanced Mist Technology (EMT). Group Product Marketing Manager, Kashif Choudhry said: “We have been eager to reveal these two products to new and existing customers and the FEA is the perfect setting. Already shortlisted for an FEA award, the Cyrano is an innovative nasal actuator, combining new design, functionality and aesthetics for a wider audience. The actuator addresses the need for a more gentle application of nasal solutions for end-users than existing products offer. It also provides improved hygiene and user-experience, as well as opening up new marketing opportunities for brand owners. EMT is also featuring at the show. Designed for use with compressed air and with regular 1 inch valves or Bag on Valve systems, Lindal’s new nozzle technology is designed for low viscosity water-based products, such as water and skin care solutions, it produces a quiet and gentle mist which dries quickly. A versatile product, EMT offers improved spray reproducibility and enables the reduction and even elimination of Volatile Organic Compounds (VOCs). Alongside the Cyrano and EMT, Lindal is previewing the Smart Dispenser at the FEA, a new foam dispenser produced by Lindal exclusively for specialty chemical leader, Dow Chemical. Designed for the home improvement market and considered a ‘world first’, the easy-to-use dispenser automatically prevents foam drips and seals without additional input from the user. Visit stand number 8 to see Lindal’s exciting FEA exhibition and all of its new products.